More details about Local Business Extractor Buy Now! 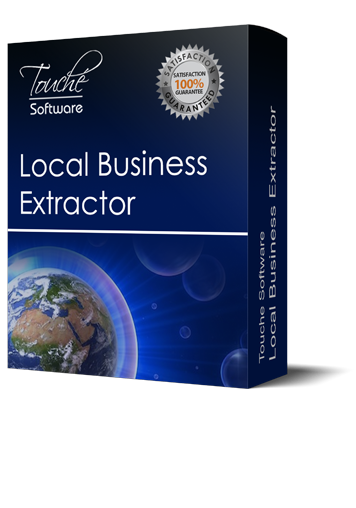 Local Business Extractor is a tool that captures contact information such as business name, address, phone number, websites, number of likes and other important information from local places in more than 200 countries in all world . There are millions of companies in the database that we use. Our tool was created to help you to extract business leads from this HUGE directory using the fastest alternative. Visit http://www.localbusinessextractor.com for more details or continue reading below. 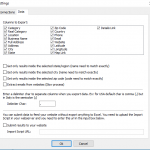 The easiest way to get results using your own search criteria. Just ONE click in the Get Data! button and done. 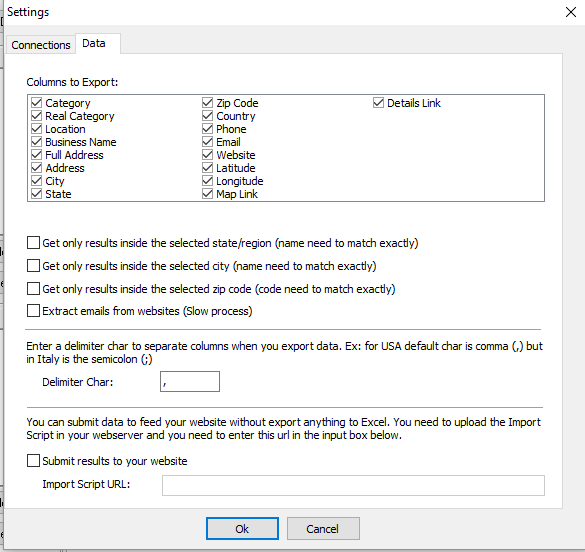 You get THOUSANDS of leads ready to export to Excel. 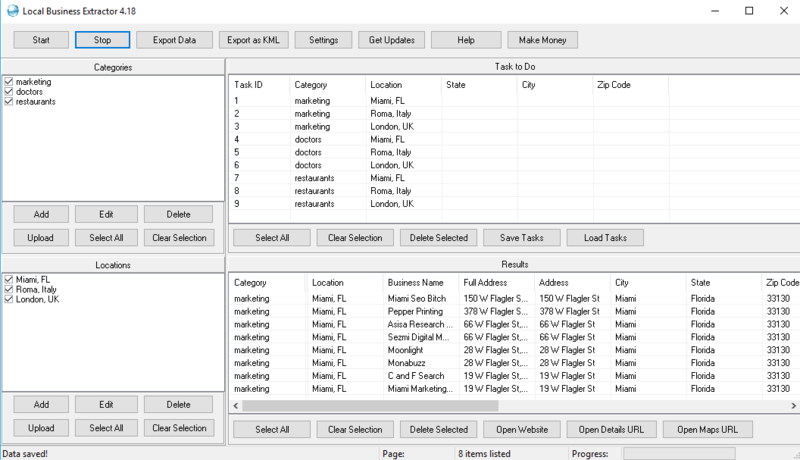 With our tool you can add multiples categories and locations to schedule the search in advance. For example you can get for all doctors and dentists in Paris and London at same time! 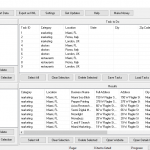 Software will search the combinations to get the correct data. you don;t need to do 4 different searches manually. Internet change every day. Our team will modify our software for FREE fixing any problem so you can continue using your tools forever. That’s one of the main differences with other companies that don’t support their clients or ask for a maintenance payment. We are working every month to add more features for our customers. We try everyday to add more fields in the results. © 2019 Touche Software. All Rights Reserved.